﻿ How to Import AVI to iMovie for Edit AVI Files in iMovie? How to Import AVI to iMovie? When trying to import AVI to iMovie from video camera like Sony, Samsung, RCA, Panasonic, Canon Powershot, Flip Mino etc, you may often come across one of the following painful problems: nothing showed up on the iMovie screen; only image in iMovie; only sound in iMovie; or AVI files grayed out and refused to be imported to iMovie. Do you really have no idea to successfully import AVI to iMovie? The following is a step by step guide on how to import AVI to iMovie with the help of Bigasoft AVI to iMovie Converter for Mac. Besides importing AVI to iMovie, this guide also helps to convert and import any other video formats like MPEG, MXF, WMV, VOB, MOD, TOD, AVCHD, MTS, M2T, M2TS and more to iMovie. 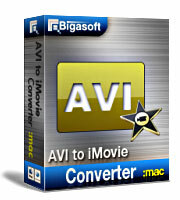 Free download Bigasoft AVI to iMovie Converter for Mac install and run it, then the following interface will pop up. 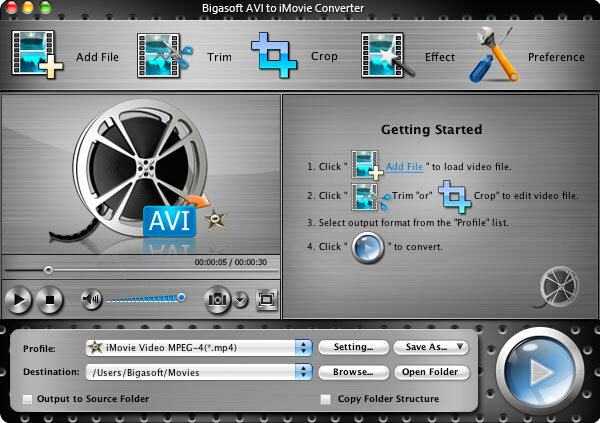 Simply drag and drop AVI files to Bigasoft AVI to iMovie Converter. Or click "Add File" button to locate the AVI files you want to import to iMovie. Click the "Start" button to start converting AVI to iMovie MP4 or iMove MOV. 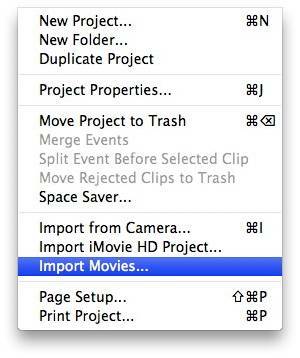 Run iMovie, and then click "File -> Import Movies..." to import the converted AVI to iMovie.